The UN has launched an investigation into suspected cases of torture by Russian soldiers or mercenaries in Central African Republic after an internal report said at least one civilian had been detained and abused by Russians. A man from the central city of Bambari was held by Russians and repeatedly tortured for five days, according to the UN report, including having his back slashed with a knife and having his little finger cut off. The report, dated January 15 and seen by AFP, contains photos showing scars on the man’s back and his mutilated hand. In an interview with AFP in the capital Bangui on Tuesday, the man — who said he was a market trader called Mahamat Nour Mamadou — described the extent of the torture and said he feared for his life. “They tortured me from 8am to 5pm. They hit me with chains, iron batons, they cut me in the foot with a knife, and also on the arms and the shoulder. They broke a tooth with a brick,” Mamadou said. He revealed deep scars and bruises on his legs, arms and shoulders, as well as traces of marks around his wrists and ankles where he was bound. His little finger had been cut off and his other fingers were streaked with scars. Mamadou said he was detained on January 11 by soldiers of the Central African Armed Forces (FACA) after a crowd falsely accused him of belonging to the Seleka militia — a mainly Muslim rebel movement which rose up in 2012 in the north of the country. “They took me to the town hall where the FACA and the Russians are based. The Russians questioned me, they asked me if I was a Seleka, if I had weapons,” he said. In 2013 the Seleka overthrew President Francois Bozize, a Christian, plunging the country into crisis before the group was forced from power. “They tied my hands and covered my head with a jacket, they punched me. They tied me up during the night. Then they took me to their base,” said Mamadou. “They took a big knife and cut off my finger. They slashed my other fingers too, then they strangled me with a chain,” he said, adding that there was one FACA interpreter and several Russians. The UN says Mamadou was released on January 15 thanks to the intervention of the Internal Security Forces (FSI). UN officials say they have begun an inquiry. Russia’s influence in CAR has been growing since 2017, when the UN-backed government there called for help to fight militias rampaging through the country. According to reports in Russian and Western media, the military trainers are mercenaries with close ties to Russian mining companies and the numbers deployed could be significantly higher than officially reported. Last month, French Foreign Minister Jean-Yves Le Drian criticised the presence of Russian mercenaries in CAR from the private military company Wagner. Three Russian journalists who were investigating the Wagner group were ambushed and murdered in CAR last year. 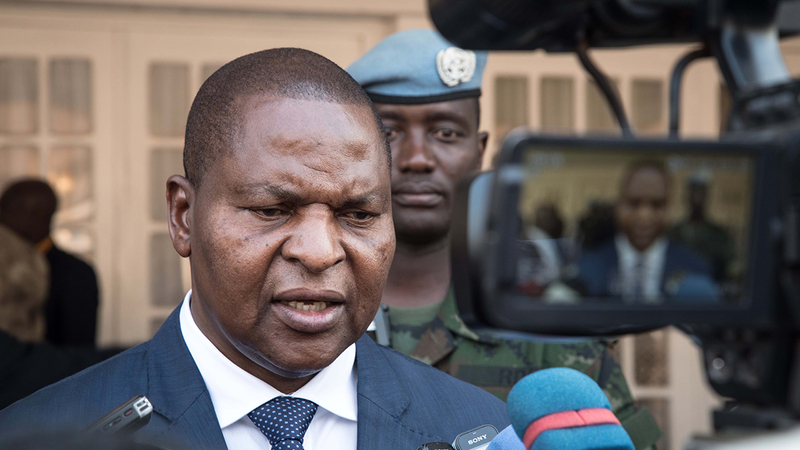 A peace agreement between the government of CAR and 14 armed groups was agreed earlier this month in a bid to bring peace to the unstable country.